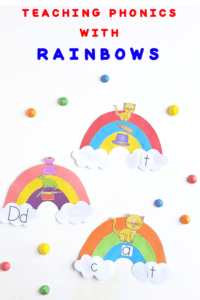 Have fun and teach phonics with cute and easy rainbow word families. 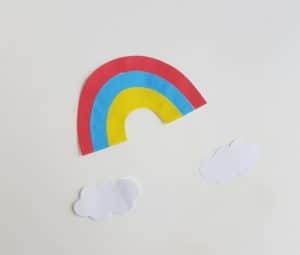 Today you will receive a free and easy download template for your rainbow to make this craft an easy success. This is a fun project to do in the spring. 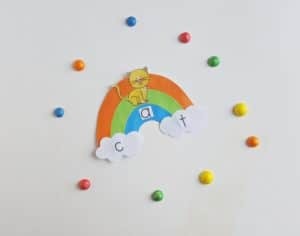 You can also make a rainbow and laminate it and then have the students practice writing each word family on the rainbow. 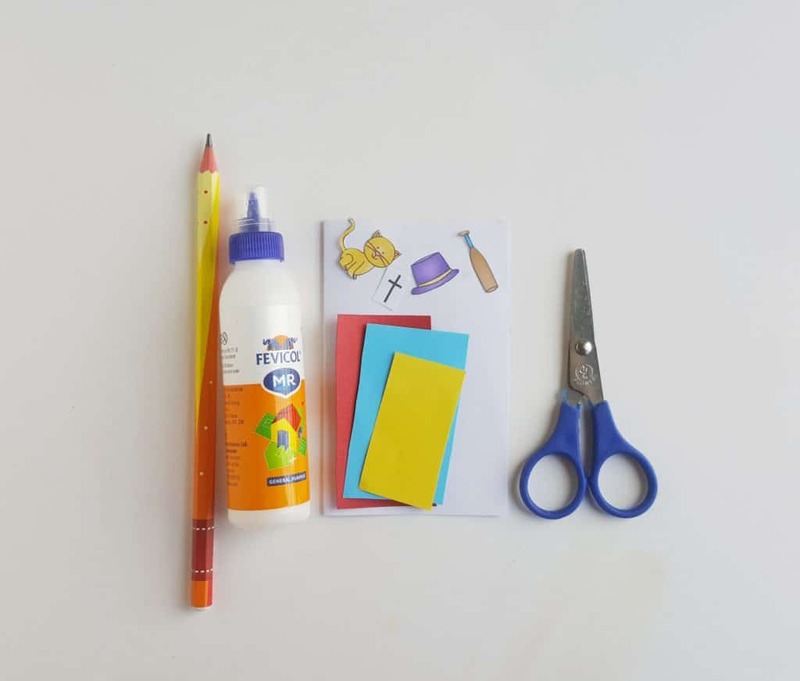 Regardless of how you decide to do this activity, it is a fun way to practice and learn phonics! Select 3 different colors for the rainbow and trace the rainbow pattern from the given template. 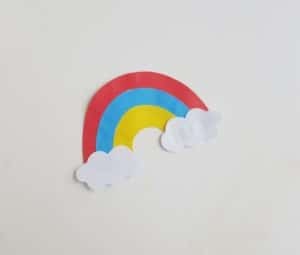 Trace the clouds and the base of the rainbow on white craft paper. Cut out the traced patterns nicely. 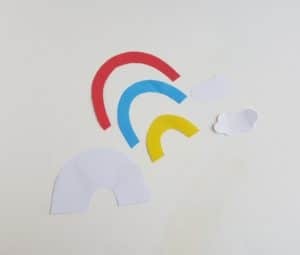 Use craft glue to attach the 3 rainbow parts on the rainbow base accordingly. Press the 3 rainbow parts on the base to make sure that they’re glued evenly and nicely. Attach the 2 cloud patterns on both open ends of the rainbow. Print and cut out the pictures and letters from the given template. 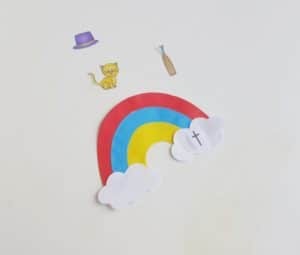 Glue the pictures and the letters on the rainbow and the clouds however you wish to arrange them. The template includes CVC rainbow, ending sound rainbow and word family rainbow. Follow the template or come up with your own picture and letter rainbow! Make learning fun and interesting! Do you want the template and little CVC and beginning sound pictures that I used to make this craft? Grab the template by entering your name and email into the blue form below. You will be added to our newsletter mailing list were you will learn how to help your struggling reader and make learning to read fun. It is easier than you think to help your struggling reader…all you need are the right tools and a little bit of fun! Great way to incorporate a craft idea into word study! Thank you! Hope you have fun making the rainbow and sneaking in some learning!